Abstract: The so-called Arab Spring ushered in a new era of conflict that is transforming Islamic societies in unprecedented ways. In the past two years, peaceful protests ousted some of the most ruthless dictators of the Arab world. Then, violent rebellions destroyed communities in Libya and Syria, stifled the non-violent movement, and amplified sectarian tensions by interjecting God into some of the most gruesome conflicts. By looking at the Syrian crisis as a case study, in this article I explore the function of narratives in managing war and the nature and evolution of Islamism in Islamic societies. Those who think that the Syrian war could be ended by simply sending either side more weapons and more fighters are mistaken. Weapons are only tools of the battlefield. Now, as is has been throughout the history of war, the more important key to winning a war is developing a compelling narrative. Over the past two years, each of the parties involved in the Syrian conflict has promulgated a different narrative to justify the war. Western and Arab officials have produced a narrative that characterizes the conflict as a struggle for democracy, with opponents of the Syrian government arguing that the regime is brutal and undemocratic to justify their intervention in the internal affairs of Syria. The most formidable fighting groups among the rebels have espoused an Islamist narrative. Some contend that the Syrian regime is un-Islamic. Others argue that the regime has betrayed Arabs in favor of the Persians. A third group stresses the need to re-establish the Islamic caliphate. Generally, these armed Islamists want to overthrow the regime so that they can establish an Islamic government in its stead. The Syrian government’s official narrative has evolved over time. Originally the regime contended that the protesters were violent outlaws challenging the legitimacy of the state. Once the peaceful uprising turned violent, the government’s narrative identified the rebels as foreign mercenaries and extremist nationals who are challenging the sovereignty of the state and advancing a Western agenda aimed at punishing Syria for supporting resistance movements. Narratives provide a real function, but only as long as they are convincing and credible. They must be believable and must come from someone with an established reputation. For example, when judged by this standard, the Arab League’s official narrative is undermined by the fact that the strongest Arab opponents of the Syrian regime are known human rights abusers with no history of democratic governance. The credibility deficit in the official Arab position is beyond repair in the eyes of most Arabs, let alone outsiders. The narratives rooted in religion provide some Syrian fighters as well as Salafi Jihadists from around the world with compelling reasons to fight. They are a key factor behind the strength of Jabhat al-Nusra and other religious groups, such as al-Tawhid Brigades, which are affiliated with the Muslim Brotherhood. But these sectarian narratives also come with caveats: the sharper the narrative in identifying the enemy (Shiites, Nusayris, Persians, non-Arabs), the more anxious and aroused members of this enemy become. By way of contrast, the clips which have depicted the brutalities of the regime and its supporters have not only been many fewer—mere dozens as opposed to the thousands released by the braggadocio-prone rebels--show soldiers and pro-regime militias carrying out their acts in the name of the regime, not of God. The rebels’ acts and statements have the effect of making God appear as cruel as the regime (or crueler). While the Syrian government was clearly aware of the need for a compelling narrative, they did not want to create one that would amplify their hostility towards religious groups. Government officials were keenly aware of the danger of alienating more people, especially Sunni officers still serving in the military. The Syrian government’s need to balance religious and non-religious rhetoric is partly dictated by the fact that the regime is dominated by secular Arab nationalists with little in the way of religious credentials. For this reason, the regime sought to enlist the support and services of Islamist groups like Hamas and Islamic Jihad, whose leaders had been sheltered in Damascus for years when all other Arab regimes shunned them. To this end, the Syrian government reportedly asked the leaders of Hezbollah to mediate an arrangement that would keep the Palestinian Islamists in the government’s camp. However, enticed by money from Qatar and emboldened by the Muslim Brotherhood’s rise to power in Egypt, Hamas’s Damascus-based political leaders refused to help their Syrian benefactors. They told the Syrian government that Hamas needed to be able to engage diplomats from around the world on behalf of the Palestinian cause. Contending that the closure of some diplomatic missions in Damascus made it hard for them to achieve that goal, they relocated to Qatar. Although other Palestinian factions (mostly secular ones) did side with the Syrian government, Hezbollah was forced by the facts on the ground to themselves provide the religious credibility the Syrian government needed in order to legitimize their fight, especially against their Islamist opponents. Thus, on May 25, 2013, the leader of Hezbollah, Sayyid Hussain Nasrollah, provided a new narrative that would allow “resistance fighters” to engage in the war in Syria. He declared that Syria’s true friends--Hezbollah, Iran, some Palestinian resistance factions, and Russia--would not allow Damascus to fall into the hands of the Israeli-American-Takfiri alliance. This new narrative for the Syrian war reshuffled religious and political priorities and distinguished between the political and the religious discourses, forcing Sunni Islamist groups, many of whom were allied with the Party, to relinquish their neutrality. Nasrollah’s new narrative identified the enemy in a way that resonated with many Sunnis, Christians, and Shiites who felt threatened by Salafi extremism. Referring to the gruesome videos released by Syrian rebels, he declared that the fight is now “against the eaters of human flesh, the mutilators of corpuses, the slaughterers of children, the desecrators of graves, the takfiri haters.” The word takfiri refers to a person who holds that Muslims belonging to sects other than Sunnism, secular Muslims, and non-Muslims are non-believers who must be killed unless they convert to their brand of Islam or pay poll tax. Nasrollah characterized the war in Syria as a just and necessary battle to protect Sunnis, Shiites, Christians, Druze, and all other people condemned by takfiris. In other words, he framed it as a non-religious war against outsiders and against those who use God to judge people’s faith. Within days of this declaration, states and religious institutions from around the world reacted. Europe decided to lift the arms embargo on Syria and allow countries to ship weapons and money to the Syrian rebels. Russia threatened to supply Syria with S-300 defensive weapons to prevent “hotheads” (Foreign Minister Sergey Lavrov’s description) from intervening militarily. The Geneva 2 peace conference that was being planned with the hope of negotiating a political solution to the Syrian conflict is now unlikely to happen soon, if at all. These are all significant developments partly in reaction to Hezbollah’s declared direct intervention in the Syrian crisis. But the most significant outcome of this event is the realignment of religious scholars along these newly redrawn fault lines. 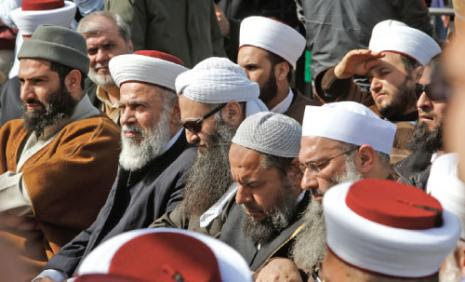 Hezbollah’s declaration severely irritated the backers of the Syrian rebels, especially the Salafis of the Gulf region. Consequently, the Qatari rulers called on their prized asset, Sheikh Yusuf Qaradawi, self-styled leader of the International Union of Muslim Scholars and de facto spiritual leader of the global movement of the Muslim Brotherhood, to authorize a holy war against Shi`as. Preaching from the main Doha mosque in the presence of Hamas’s political chief Khaled Meshaal, Qaradawi renamed Hezbollah the “party of the devil,” and declared Shiites enemies of Islam. He called on all Sunni Muslims from around the world to head to Syria for jihad. He claimed that he had been a victim of an elaborate Shiite conspiracy that had deceived him. He admitted that the Saudi (Salafi) scholars were right and he was wrong: “Shi`as are worse infidels than Jews and Christians,” he insisted. During the first week of June, al-Qa`idah released a statement from its replacement leader, Aymen al-Zawahiri, calling on Syrian rebels to unite behind the banner of Islam to defeat the Alawites and the Nusayris. He reasoned that the war against the Shi`as is necessary in order to re-establish the Islamic caliphate and to open the path to liberate Palestine. Not all Muslim scholars agreed with Qaradawi and the Salafi scholars. For instance, the Tunisian Islamist and co-founder of Ennahdha, Abd Al-Fattah Mouro, criticized Qaradawi and warned against his sectarian declarations. Sheik Maher Hammoud, a Sunni Lebanese scholar from Sidon, is another supporter of Hezbollah. He was recently attacked by gunmen in a car who fired on him as he walked from his home to the mosque--an assassination attempt he stated could be linked to his Hezbollah stance. Many analysts are crediting the training of Hezbollah fighters and the new weapons from Iran for the recent success of the Syrian military. That analysis ignores the more important factor--the power of the narrative of war. Hezbollah may have contributed some trained fighters, but its major contribution is the new narrative that is giving the Syrian troops and its supporters a more potent and resonant purpose--one rooted in the religious and nationalistic discourses. Some predict that Hezbollah’s involvement in the war in Syria will cause sectarian strife, diminish Hezbollah’s standing in the Arab streets, and cause more loss of life and property. The reality, however, is likely to prove quite different from these uninformed predictions. Sectarian conflict has been present for at least thirty years—since the 1979 revolution in Iran. The Gulf States support of Saddam’s war on Iran was, at its core, sectarian. Salafism has always included doctrinal edicts (`aqidah) that are sectarian and hostile to Shi`as. The hostile doctrines were not simple pronouncements; they were implemented in the real world. Since the 1990s, nearly 50,000 civilian Shi`as have been killed or maimed by suicide bombers in Pakistan, Afghanistan, and Iraq at the hands of Jihadi Salafists. To argue that sectarian violence will start in Syria as a result of Hezbollah involvement is to deny the reality of this ongoing strife. In Syria alone during the past two years, 41,000 of the more than 80,000 people killed were from the Alawite community. In other words, sectarianism is already deeply embedded in Arab societies. Like many other Sunni scholars, Qaradawi showed sectarian tendencies before the uprising in Syria began. He warned against the threat of Shi`a expansion in Sunni lands (al-madd al-shi`i) and advised that legal and cultural restrictions be imposed to limit the spread of Shiism in Egypt and North Africa. Despite his claim that he has supported all people rising against unelected Arab rulers, when the wave of the Arab Spring reached Bahrain, he declared it a sectarian uprising and sided with the Sunni rulers. These significant changes are forcing Sunni and Shiite Muslims to think about their alliances and reconcile their politics with their religion. The Muslim Brotherhood might undergo the most radical transformation as a result of the new narrative. In the past, as an opposition group, the global Muslim Brotherhood, with all its affiliates in the Middle East and North Africa, has portrayed itself as a principled movement that is incorruptible. Living on the margins of power and not burdened by the responsibilities of governance, the Muslim Brotherhood projected a clean image and avoided being perceived as compromising or politically opportunistic. When its main branch took power in Egypt, however, the Brotherhood was exposed for what it is--a political movement that is interested in power and, like any other party, willing to do whatever is necessary to achieve that goal. The Muslim Brotherhood’s squeaky clean image became compromised when it reneged on many promises in a very short time. 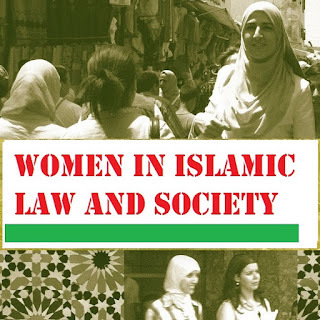 For instance, the Muslim Brotherhood’s leaders have broken two key promises--not to compete for more than 40 percent of the seats of the Egyptian parliament and not to field a candidate in the Egyptian presidential elections. Politics is eating away from the group’s credibility, as will be reflected in the next elections. Moreover, since it took over the presidency, the Muslim Brotherhood has run the government with a single goal: consolidating its power. Its global reach is now challenged from the left and from the right, by liberals and conservatives. But the biggest challenges are those affecting its credibility and base of support. Hezbollah’s new narrative is challenging its cohesion as a global movement and the Salafis are challenging its religious credentials at home. Ultimately, the Muslim Brotherhood and other pan-Islamist movements are struggling with the new reality borne out of globalism and modernity. The Syrian crisis exposed the risks that come with global movements like the Muslim Brotherhood. As a pan-Arab and pan-Islamic movement, the Brotherhood has failed to take into consideration the specific circumstances of each country that do not fit the mold of universalized politics. Modernity is similarly challenging the most conservative strands of Islamist movements. For example, the Salafis have always condemned electoral democracy as an alien, un-Islamic institution. But the Arab Spring that ended the rule of Mubarak in Egypt forced them to abandon that belief in order to form a political party and contest the parliamentarian elections, two acts that contradict their long-held claim that people’s sovereignty (marja`iyyat al-sha`b) is illegitimate. Without doubt, the Arab Spring has been a transformative event—not just because of what it has achieved, but because it ended fear and created new discourses. The end of fear means that oppression and authoritarianism will never go unchallenged again. The new discourses means that political and religious narratives must be refined. The Tunisian and Egyptian revolts have differentiated Islamists into Salafi and non-Salafi groups. The Syrian crisis brings more differentiation within both Salafis and non-Salafis. The reported division and vocal dissent within the ranks of Hamas is just one example; the split within the Muslim Brotherhood in Jordan is another. Led by two charismatic leaders, Dr. Rahil Gharaybeh and Nabil Alkofahi, a group from the Jordanian Muslim Brotherhood has defied the group’s leadership and established a new coalition with other social and political groups under the banner of the Jordanian Initiative for Construction—nicknamed Zamzam. The Brotherhood’s leadership threatened to punish all members who go against the group’s directives. This conflict may result in the breakup of the Muslim Brotherhood into smaller Islamist groups and political parties. In my estimation, the emerging internal dissent is birthing a new paradigm, an era of pluralism, not in Arab societies at large, but within what has been erroneously seen as monolithic Islamism. Plurality within Islamism will enrich the political discourse, elevate the debate on the role of religion in politics, and diminish the absolutist supremacist discourse espoused by ultra-conservative groups. Without diminishing the brutality suffered by innocent Syrians, the silver lining in the Syrian crisis is that it has exposed the opportunism and utilitarianism espoused by some religious and political factions. The Syrian crisis merely uncovered the disguised hate and masked prejudices some religious leaders have espoused for a long time. It has also succeeded in highlighting the dangers of mixing religion with politics in a time of war. It is one thing to be partisan during peace time, but it is totally another for partisans to tell their followers that God is on their side in a war that is destroying everyone and everything in the most ungodly way.